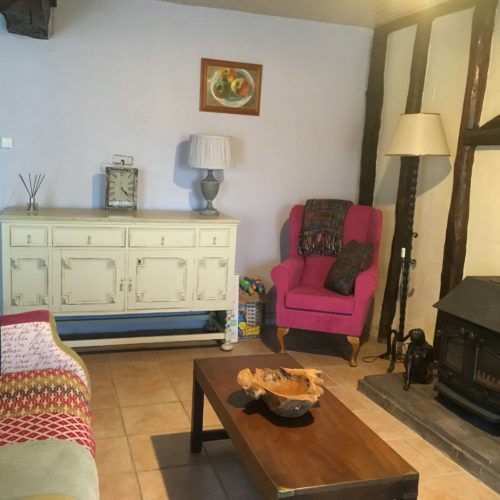 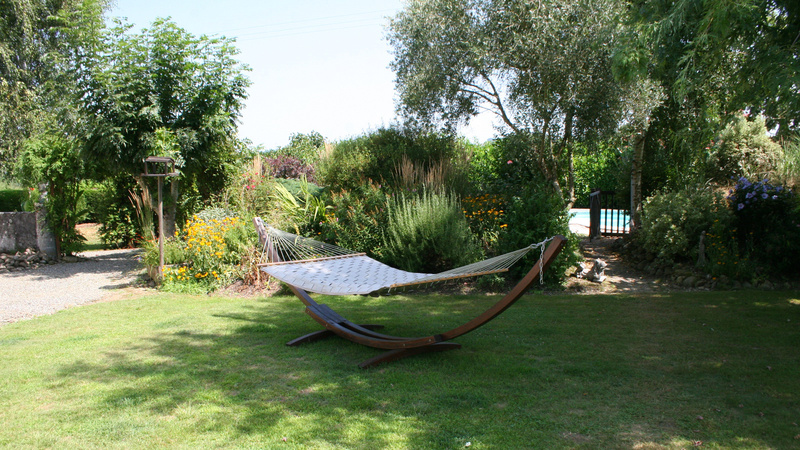 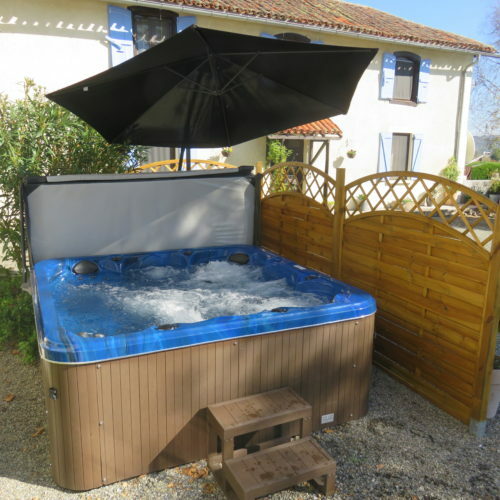 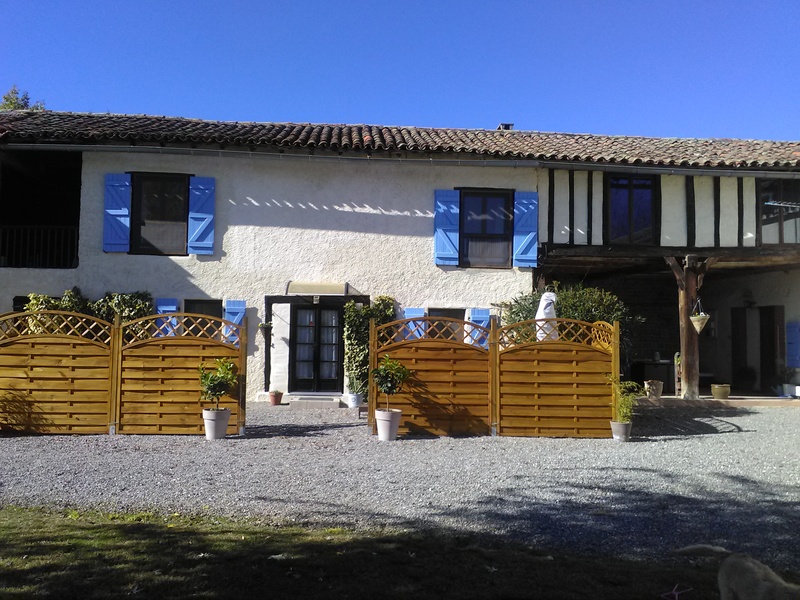 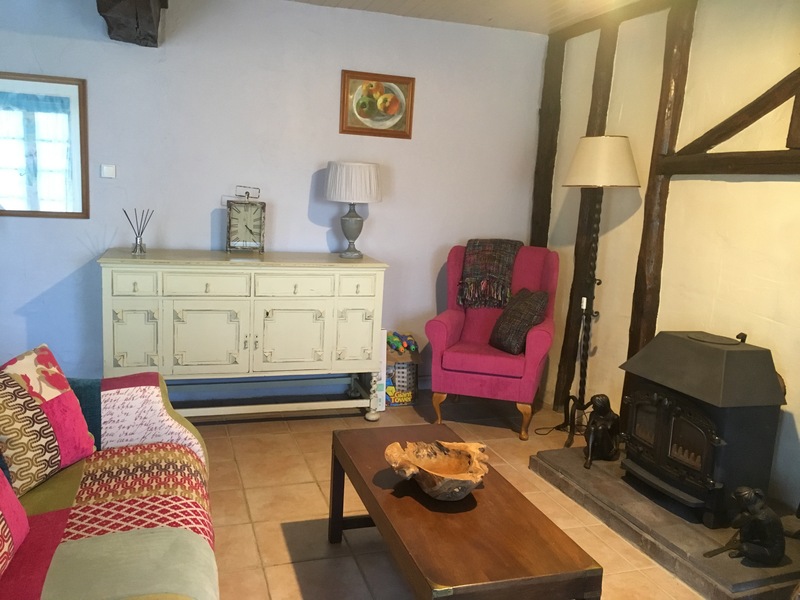 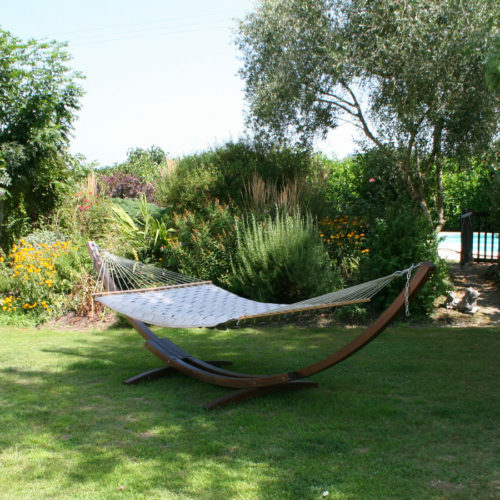 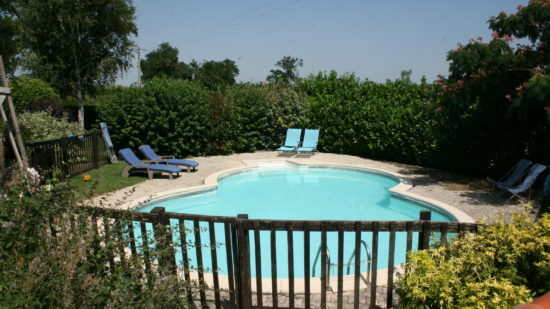 “Michouat” is the name of our property here just outside the village of Vidou, about 2km from the little Gascony Bastide town of Trie-sur-Baïse. 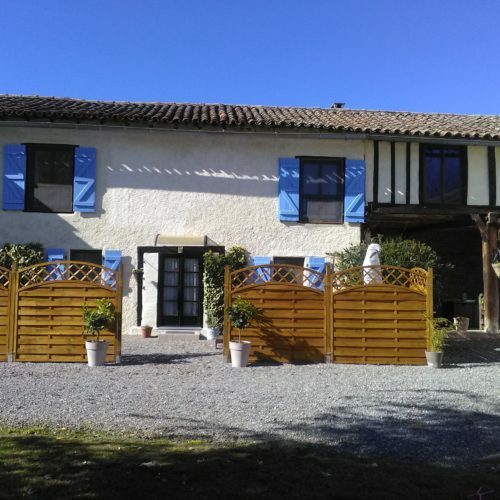 Built in the 1880s, Michouat is a traditional L-shaped Gascony farmhouse, with the family living in one side and the livestock and winter stores in the other. 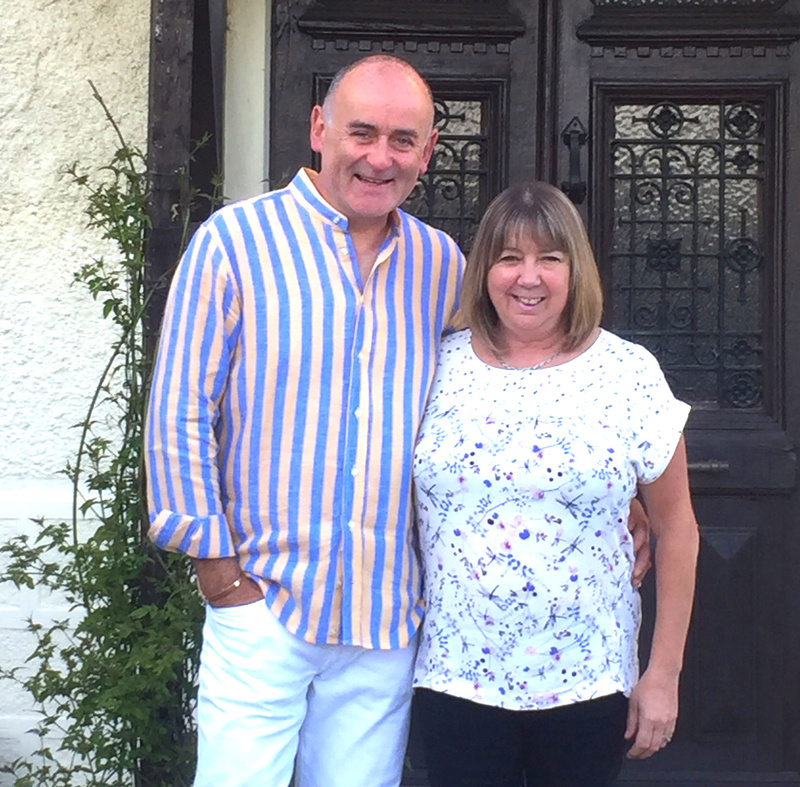 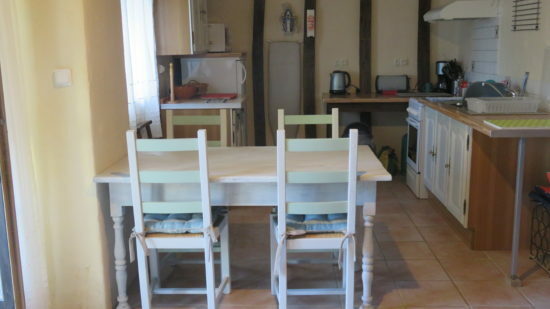 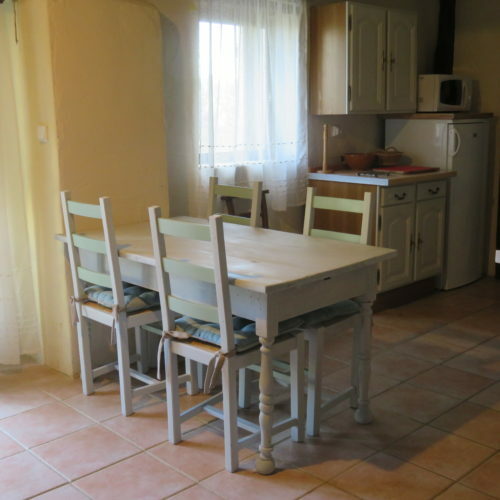 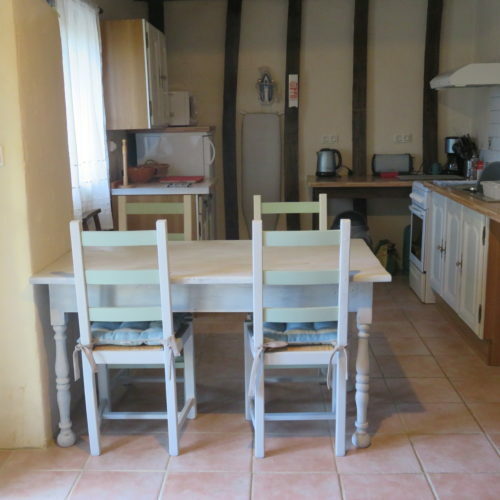 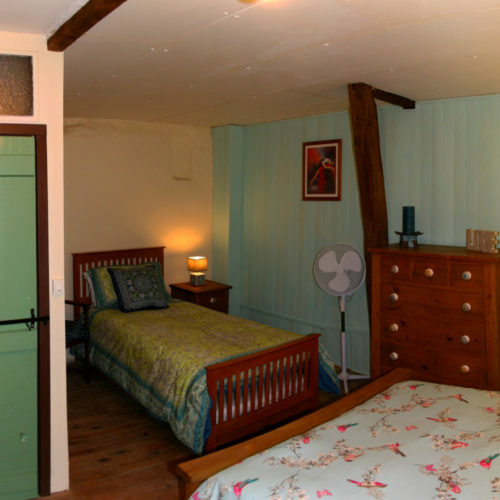 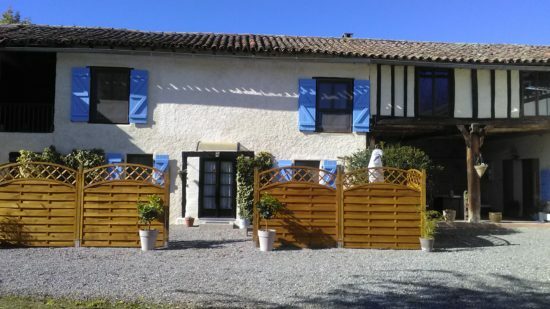 It remained a working farm until the end of the 1990’s when the barn side of the property was tastefully converted into a Pyrenees holiday Gîte [Guest House]. 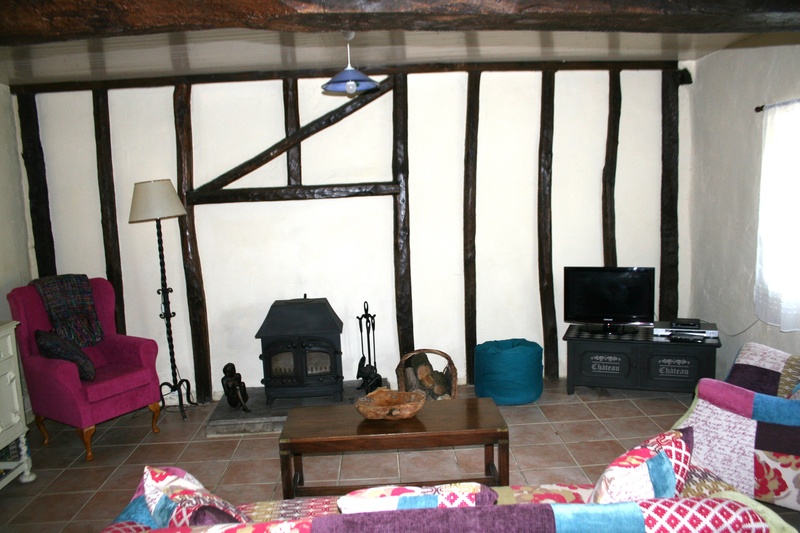 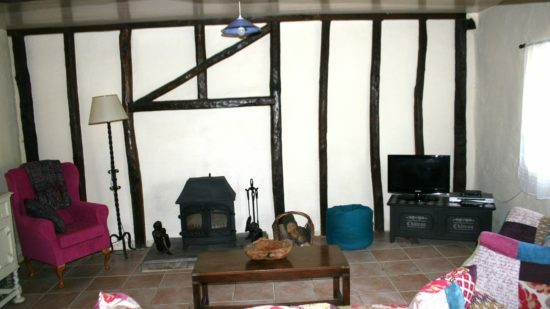 With its solid oak beams, Michouat’s Living Room is warm and cosy. 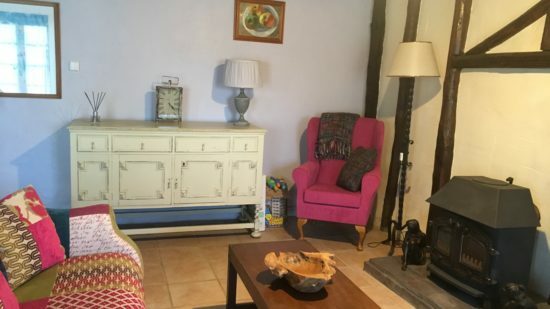 There are comfy armchairs and a sofa for you and your company to relax in, read a book, watch DVDs (provided) or catch up on your favourite (UK/French) TV programs and, of course, there’s free WiFi throughout the property. 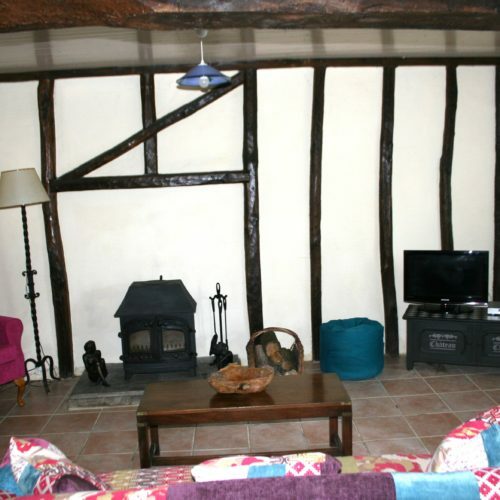 There’s a period wood-burning stove to take the edge off any out-of-season evening or early morning chill. 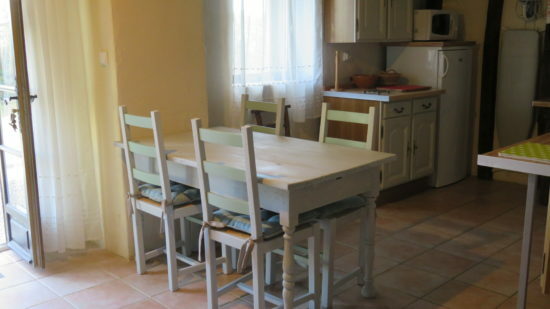 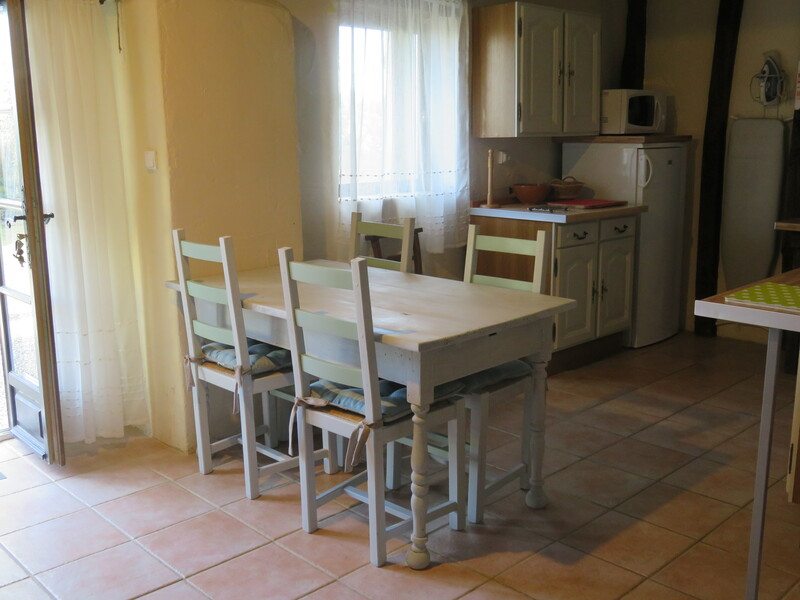 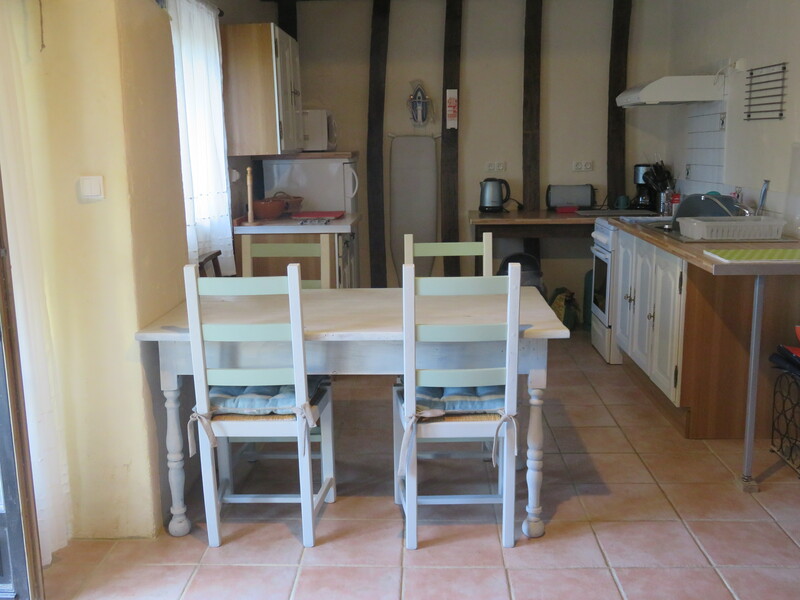 The Kitchen / Diner includes seating and all modern conveniences to keep a family of four fed and watered during your stay: gas cooker/oven, microwave, coffee machine, kettle, fridge/freezer etc. 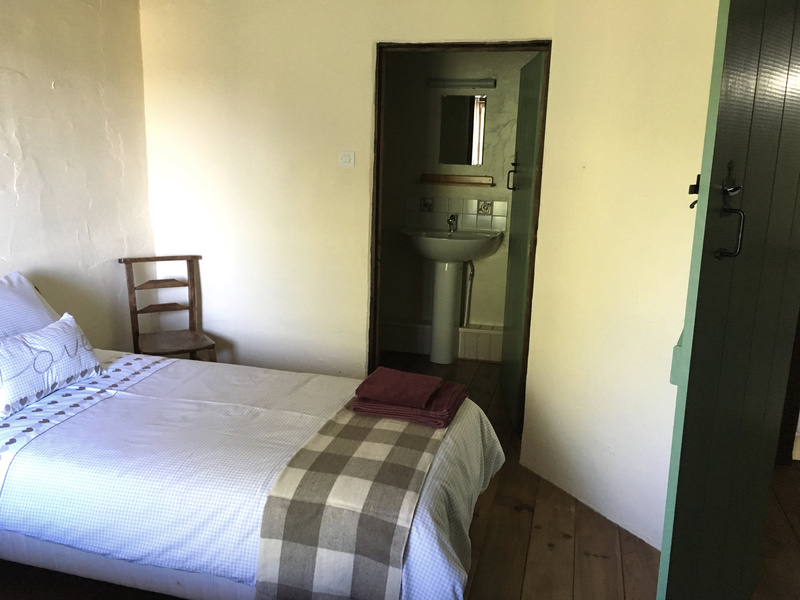 In addition there’s an iron, ironing board, and the washing line’s just outside (but there’s always the drying rack in the bathroom)! 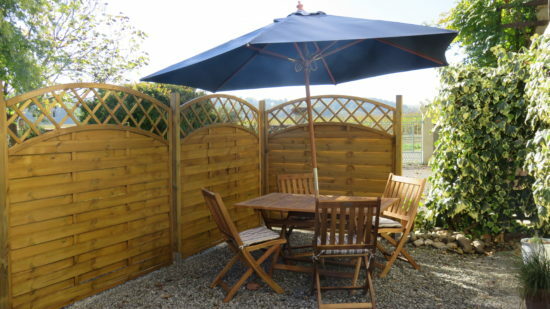 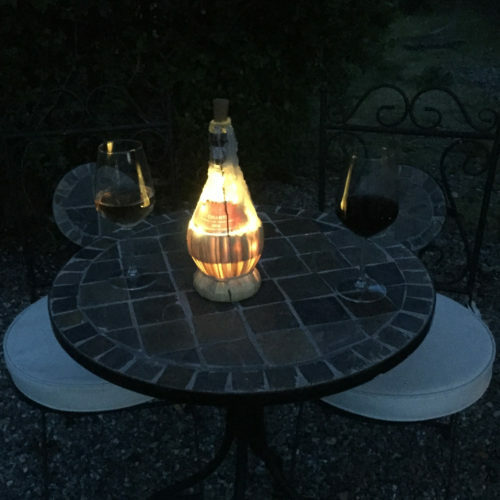 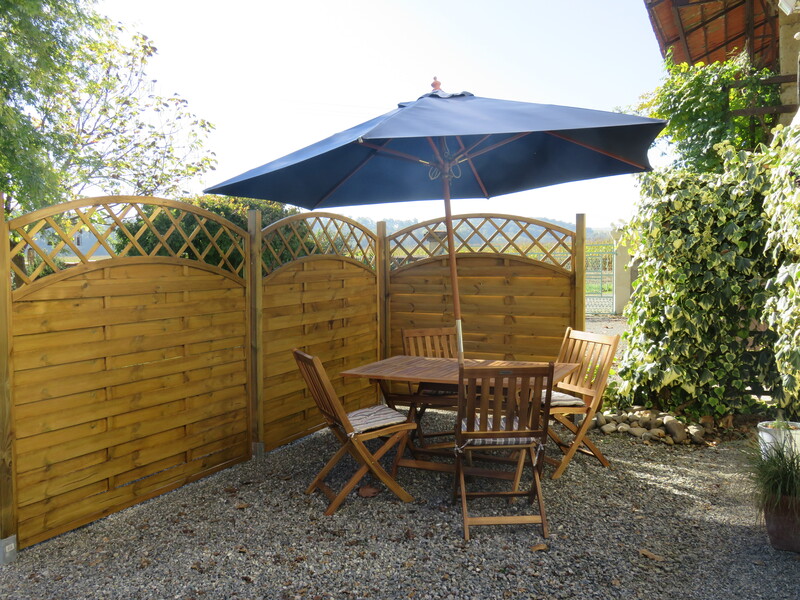 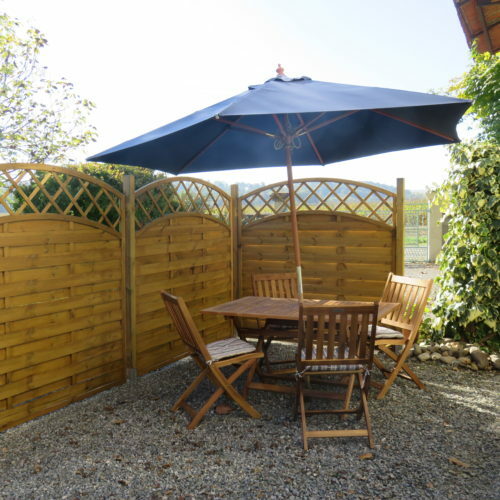 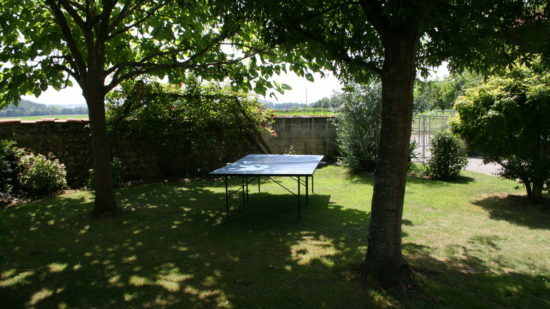 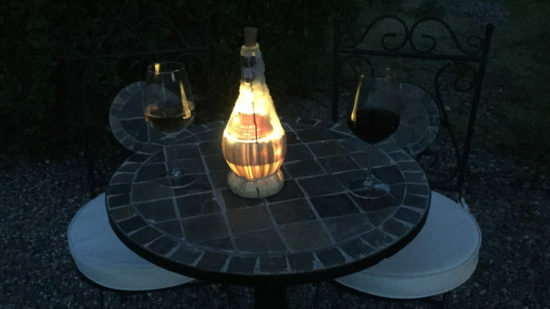 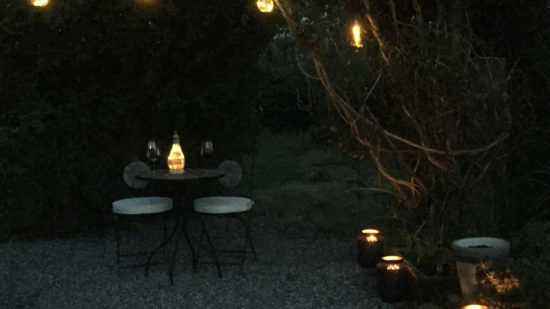 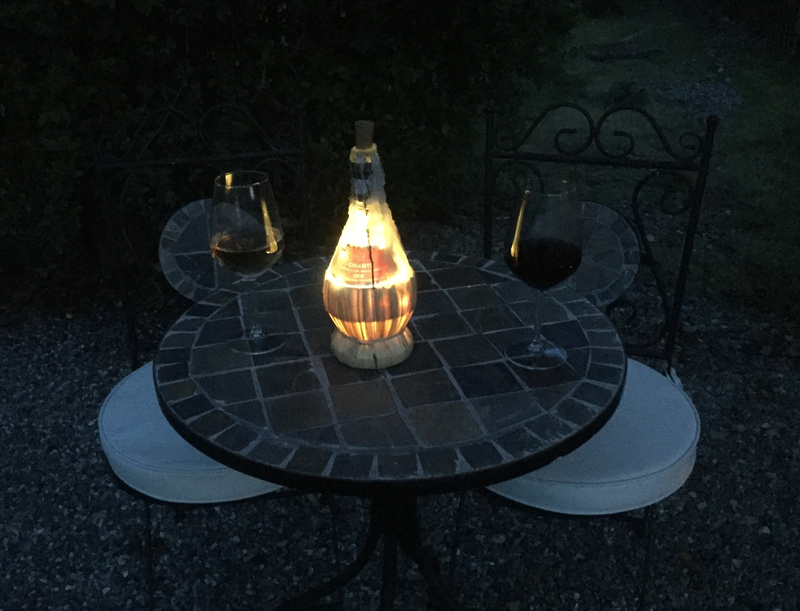 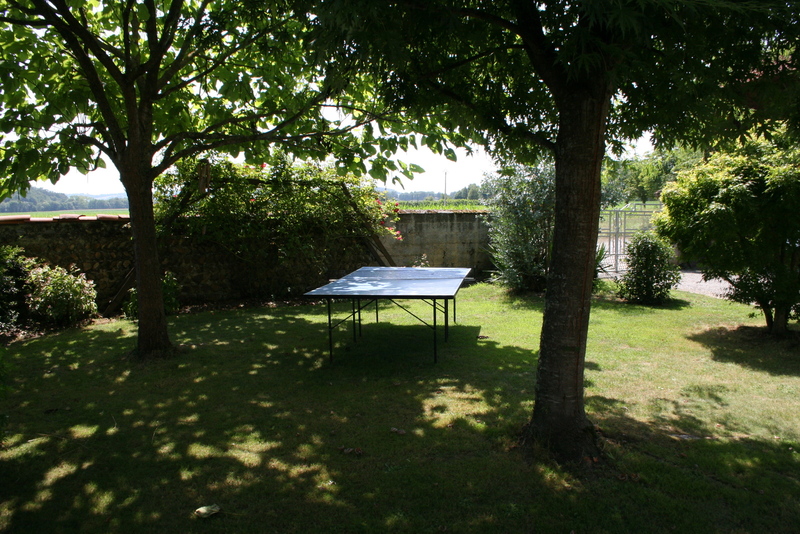 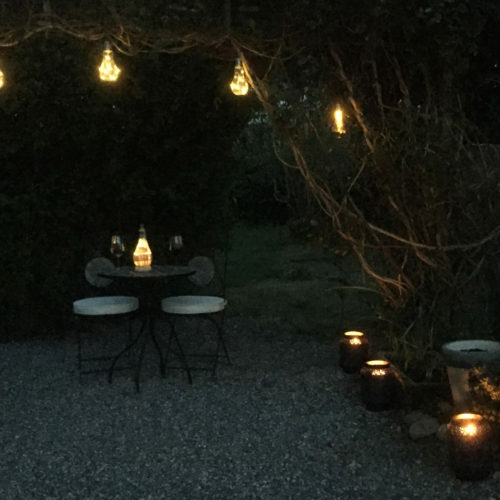 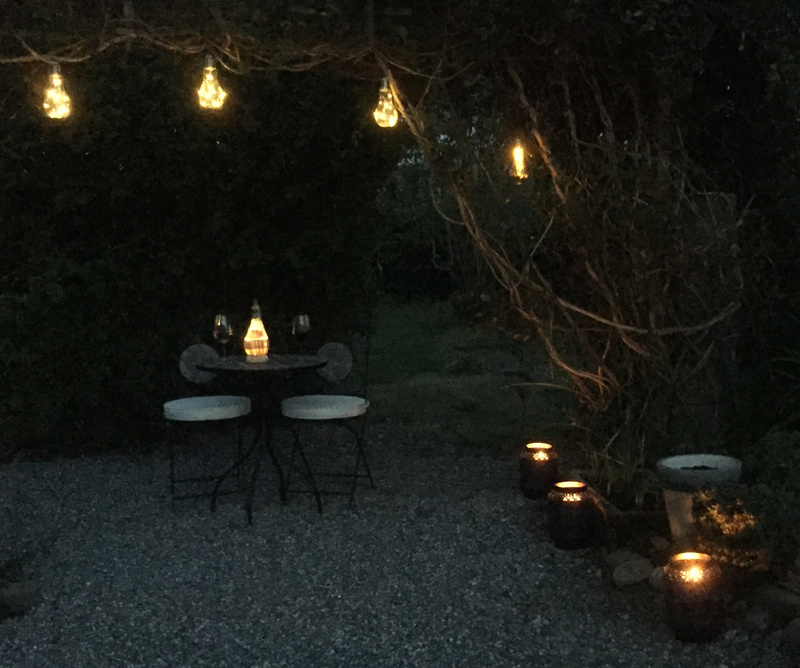 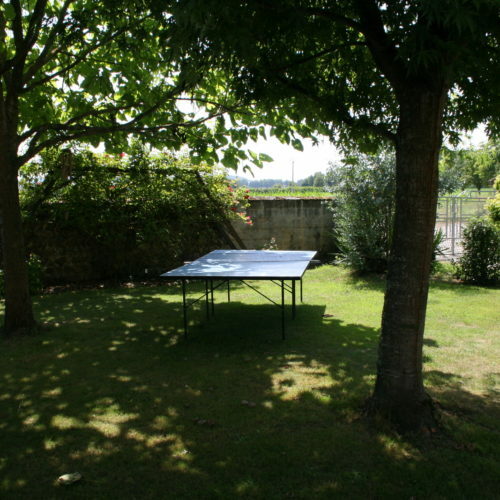 During the summer you can take your meals outside on the patio in the shade of the parasol, and it’s also perfect for watching the sun go down on a lovely summer’s day in Gascony. 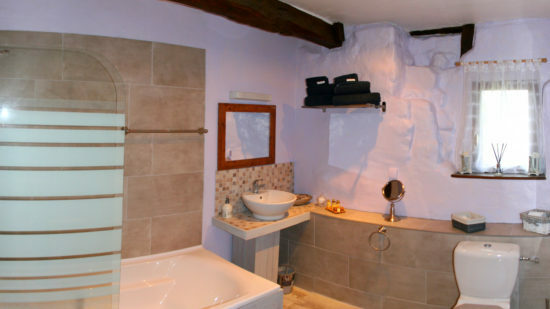 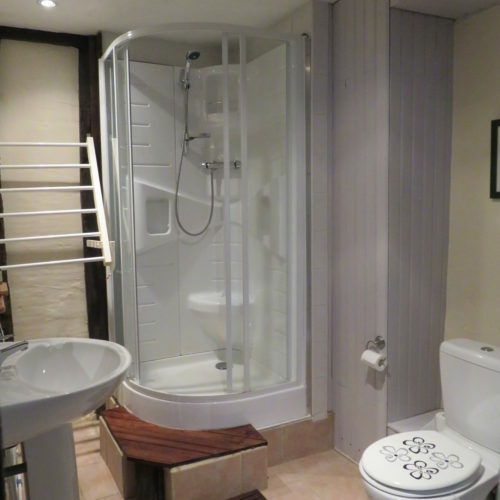 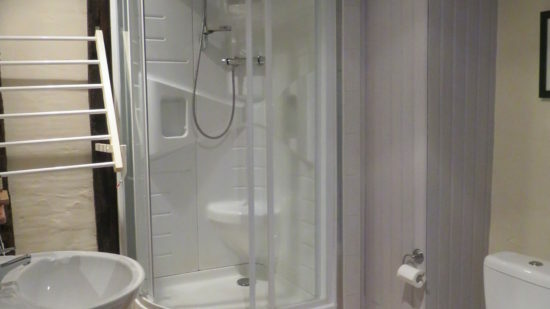 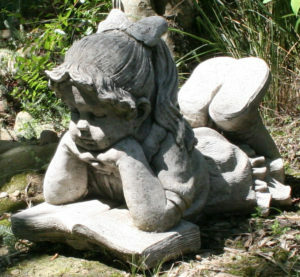 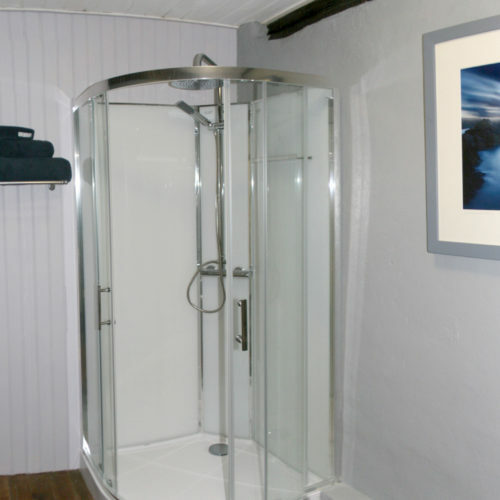 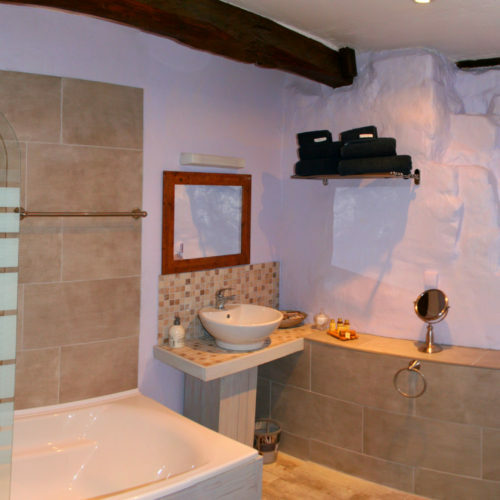 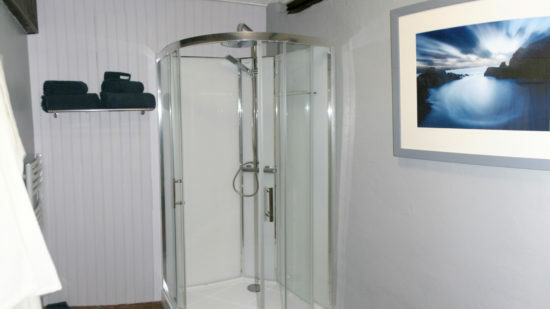 Before you head up the stairs, there’s the Bathroom, comprising a modern fitted shower unit, washing facilities and WC. 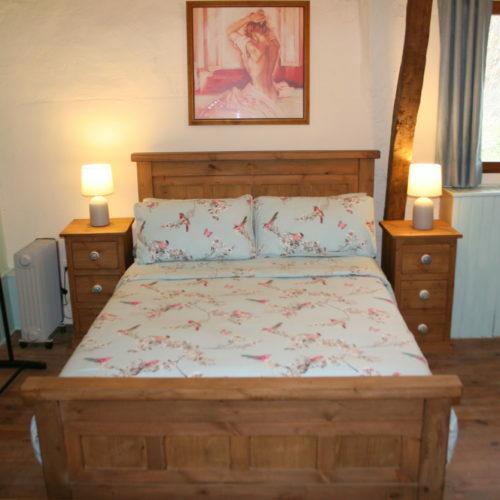 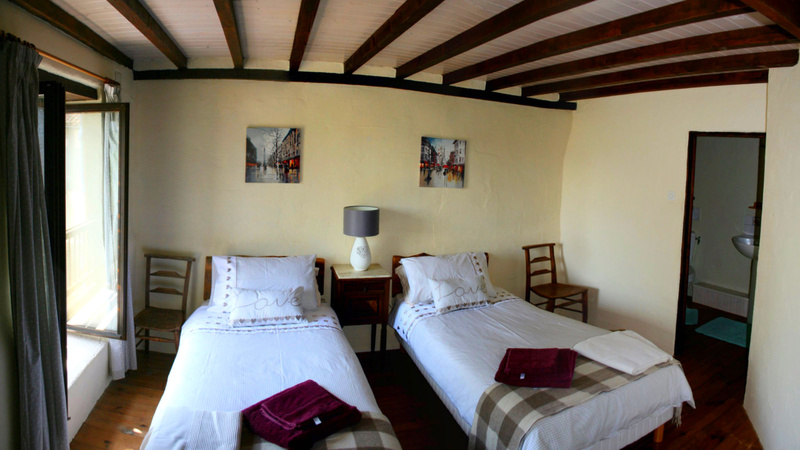 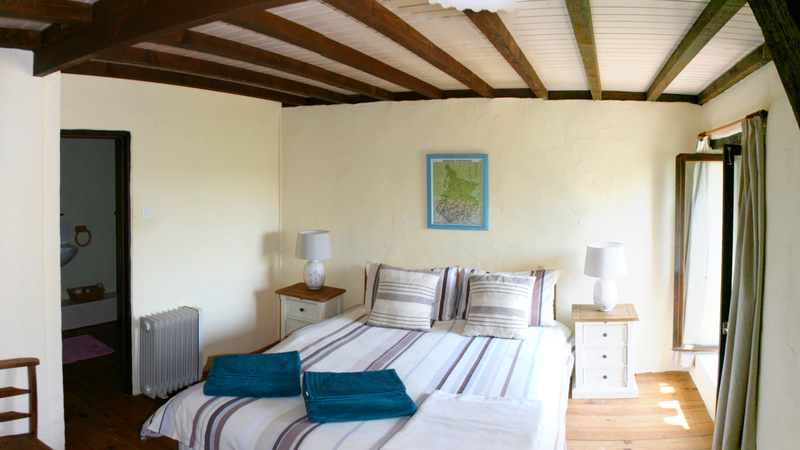 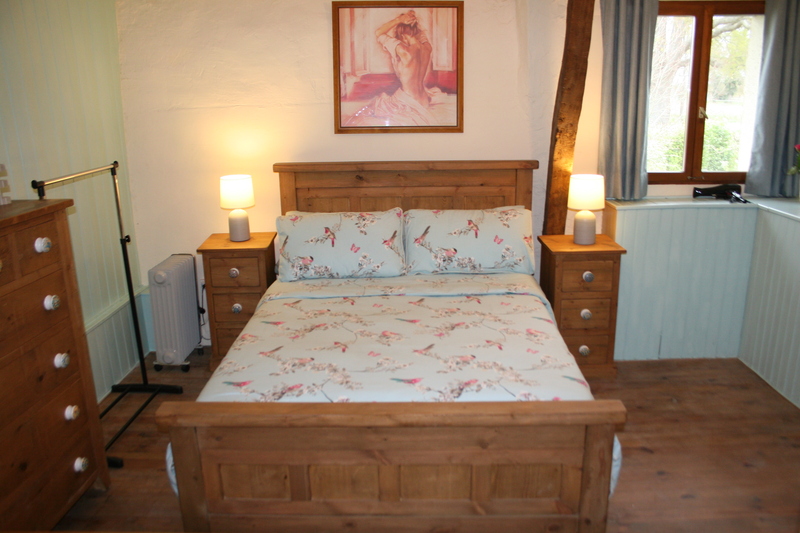 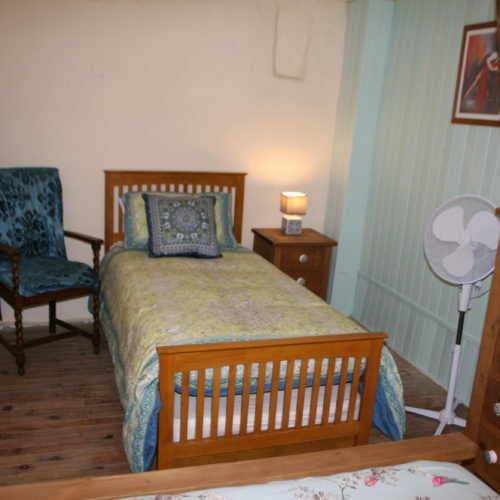 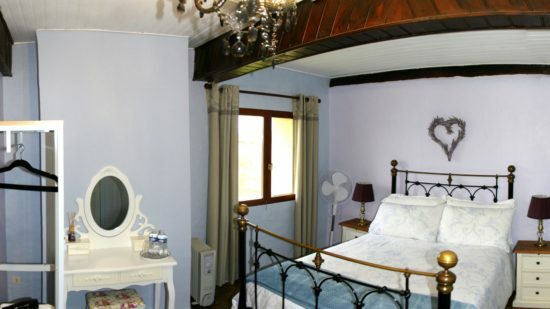 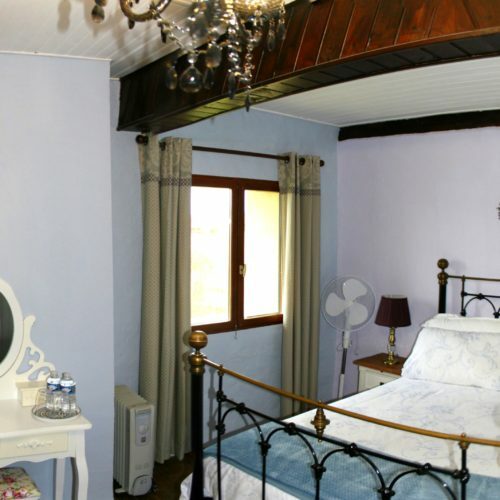 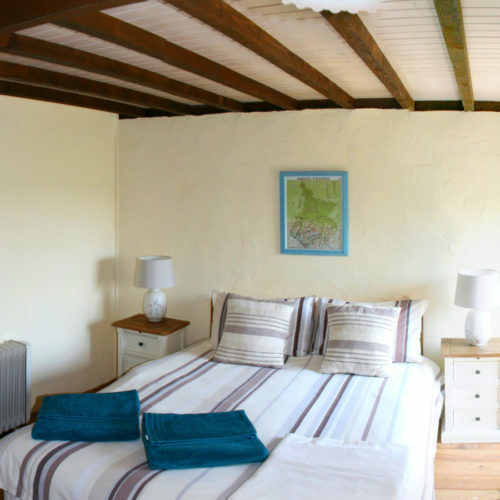 The Double Bedroom includes a king size double bed. 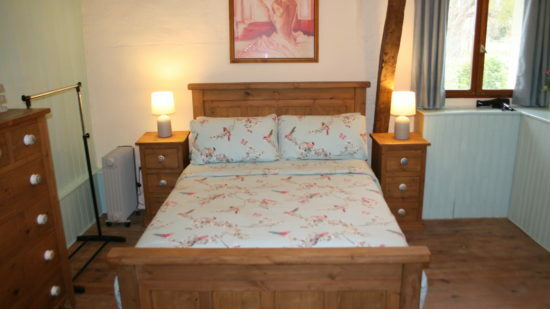 All bedding is provided. 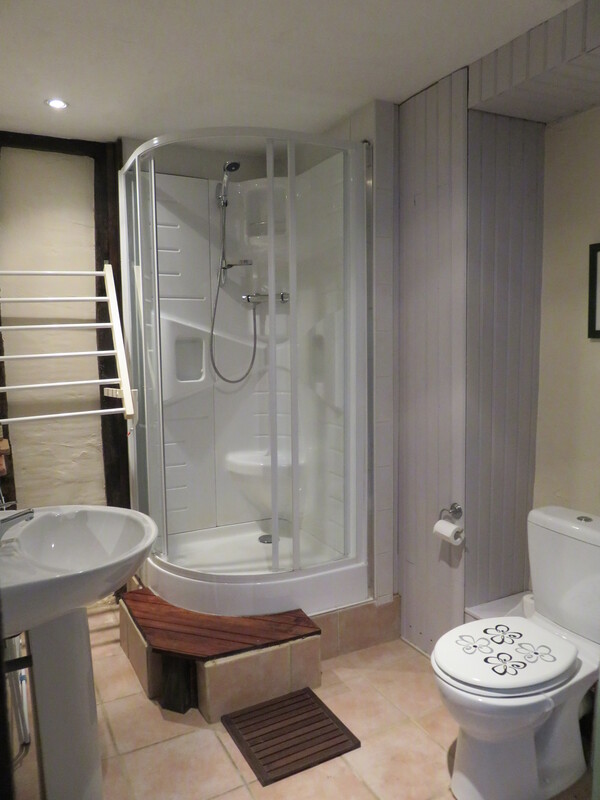 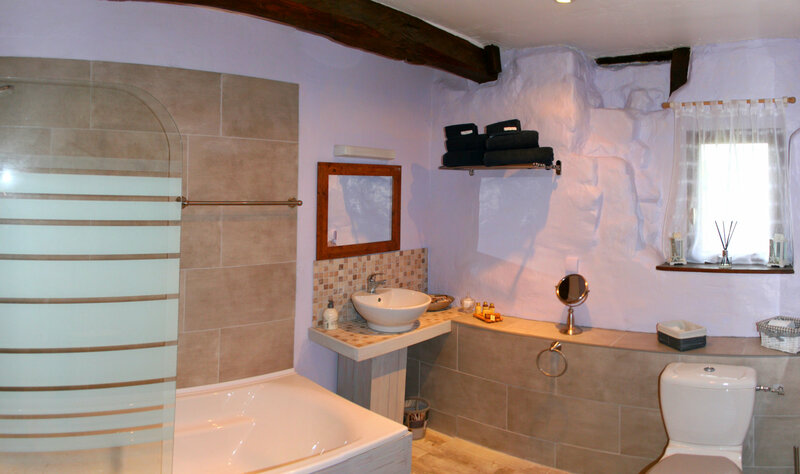 There is a private en-suite WC with wash basin. 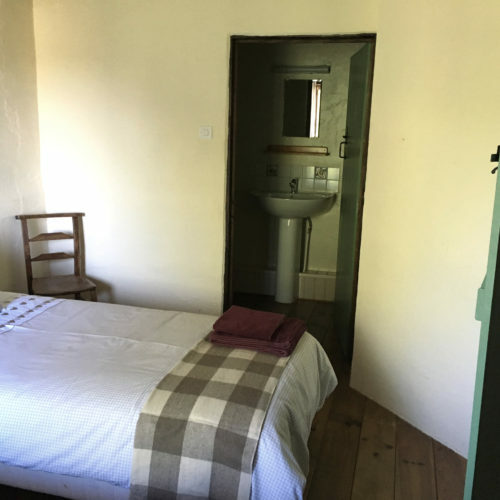 The room also includes an electric storage heater. 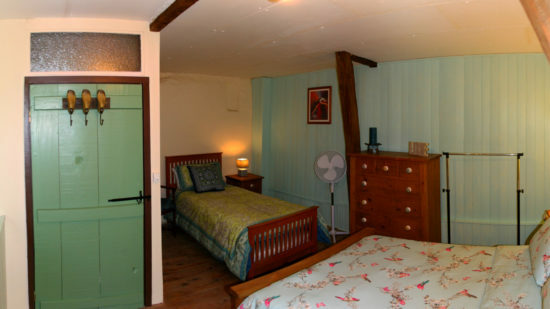 The Twin bed room includes two single beds that can be put together if desired. 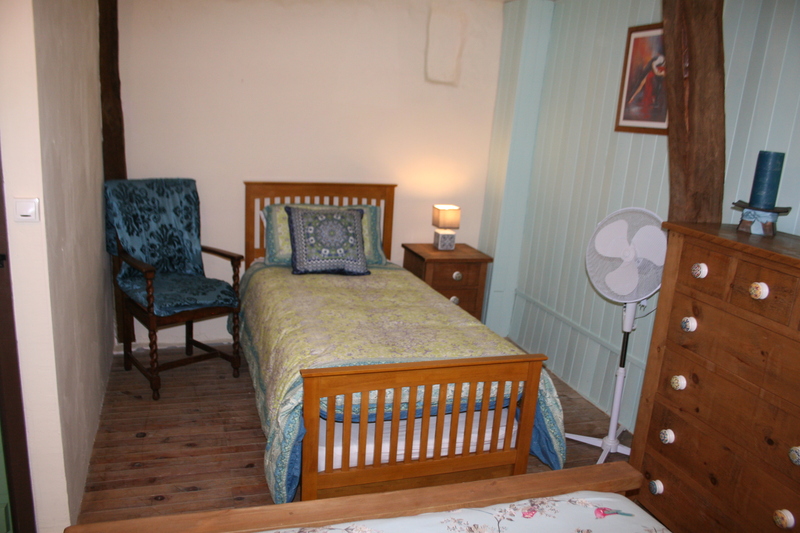 All bedding is provided. 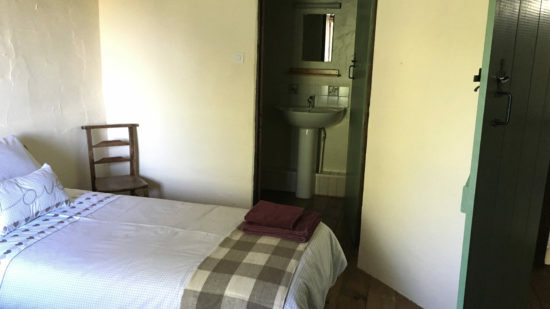 There is a private en-suite WC with wash basin. 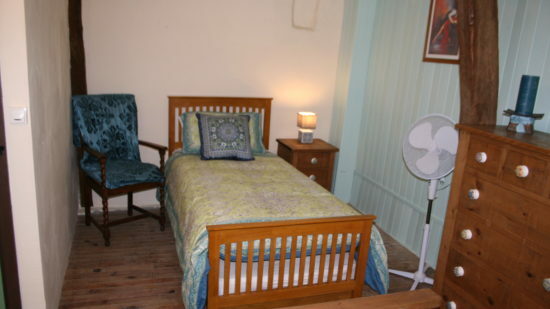 The room also includes an electric storage heater. 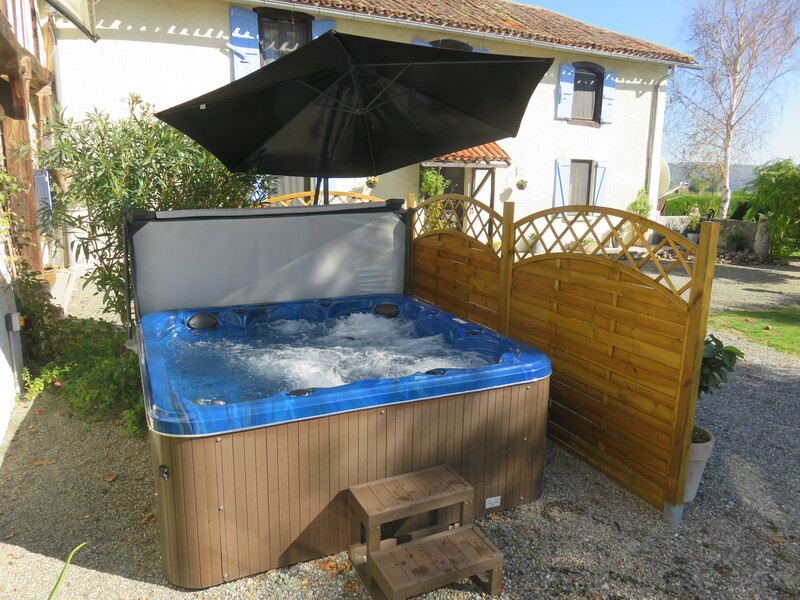 Cool off in our 10 x 5 meter, fully-enclosed swimming pool or top up your sun tan on one of our comfortable pool-side sun loungers. 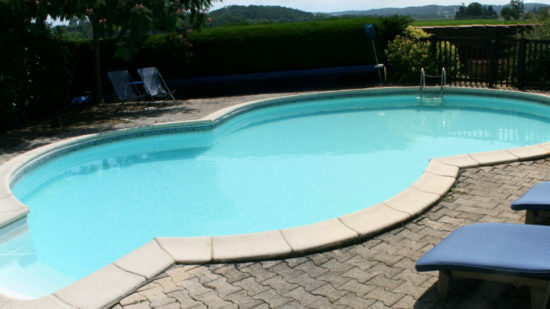 The pool is cleaned daily. 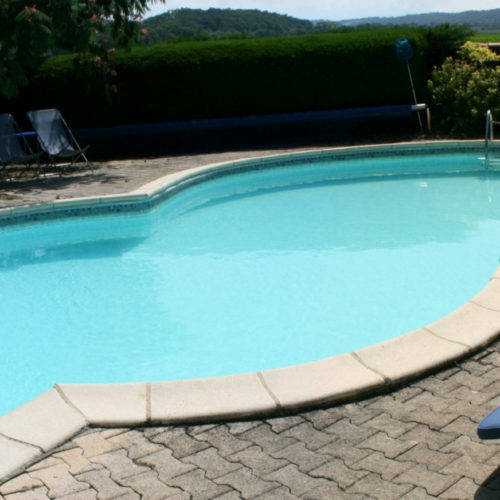 Pool rules for the safety and security of our guests. 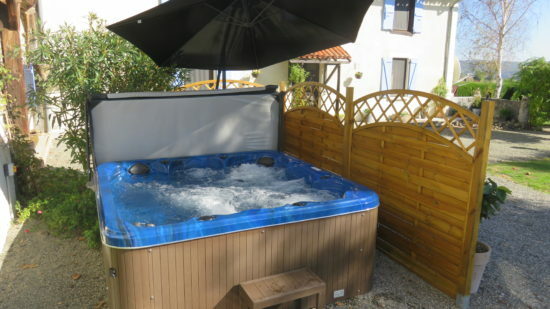 Our Solana Quattro 6-Person Hot Tub – designed and engineered to provide total comfort to you and your friends/family. 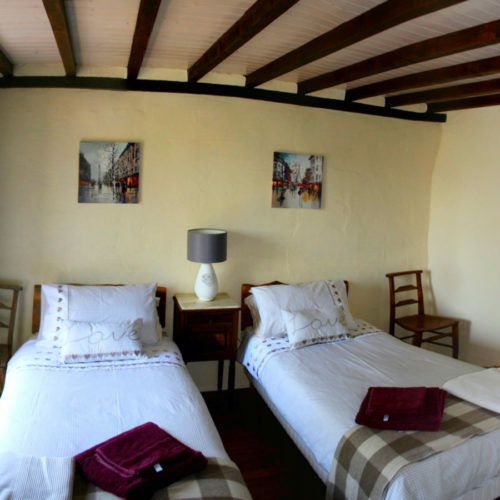 You can comfortably enjoy the ultimate foot massage with the people who matter most to you! 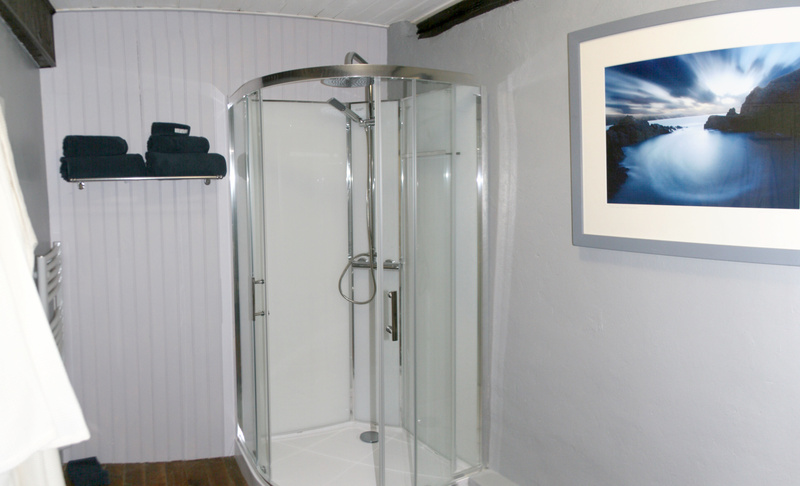 Variable water jets, waterproof bluetooth music system, what better way to finish off the day?